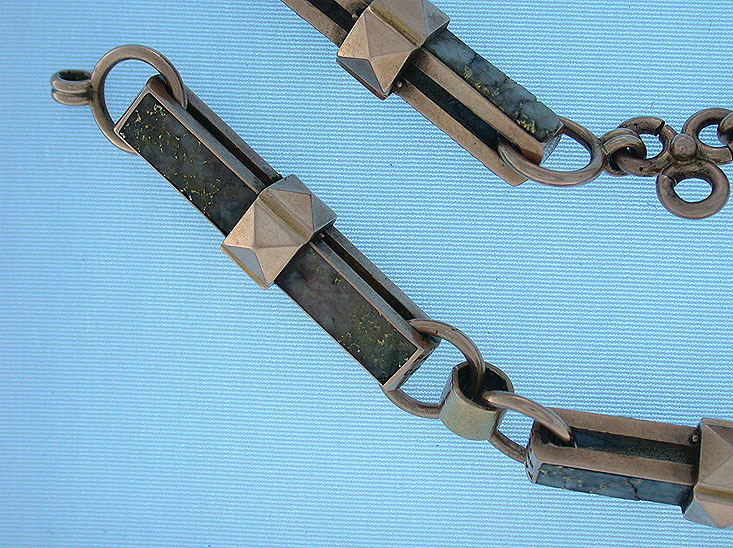 Fine and scarce gold quartz chain circa 1876. Particularly nice chain with a 1876 patent date on the links. 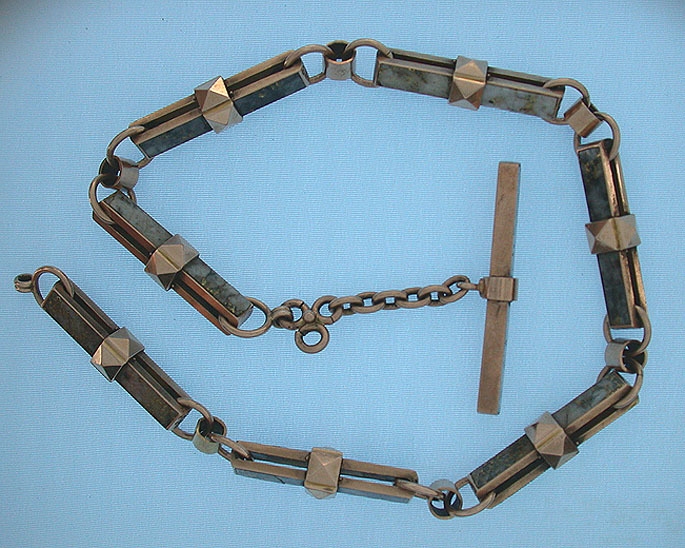 14K gold, 14 inches long, weight 31.1 dwt.